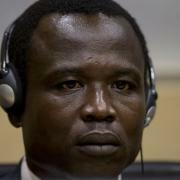 The International Criminal Court has said Dominic Ongwen, the former commander of the Lord’s Resistance Army (LRA), might be flown to Uganda for the opening of the confirmation charges. This would be great news for the war victims and affected communities in northern Uganda. I pray the Court honours the order by Pre-Trial Chamber II on 29 June to examine the possibility of holding the confirmation charges hearing against Ongwen in the Republic of Uganda. It should definitely be in Gulu, in the Acholi sub region, the epicentre of the two-decade insurgency. It would be appropriate if the in situ proceedings were held at the Lukodi Internally Displaced Persons Camp, northwest of Gulu town, where Ongwen allegedly commanded and carried out an attack against innocent civilians in 2004, killing at least 54 people. It’s that attack that prompted the ICC in 2005 to issue its first-ever, historic arrest warrant. The warrant was not only for Ongwen but also LRA leader Joseph Kony, Vincent Otti, Okot Odhiambo and Raska Lukwiya. The ICC Trial Chamber seems to want the perpetrators of war crimes and crimes against humanity to face their victims in the places where they committed the crimes and atrocities. This can also be seen with the recent recommendation by Trial Chamber VI for the trial of Bosco Ntaganda a.k.a as the ‘Terminator’, the former alleged deputy chief of the staff and commander of operations of Patriotic Forces for the Liberation of Congo (FPLC) and M23 warlord, to be held in the eastern Democratic Republic of Congo (DRC). On 9 June 2014, Pre-Trial Chamber II unanimously confirmed 13 counts of war crimes and 5 counts of crimes against humanity, allegedly committed the crimes in 2002-2003 in the Ituri Province. The confirmation charges against Ongwen, who also faces three counts of crimes against humanity and four counts of war crimes is scheduled to start on 21 January 2016. The Pre-Trial submission for Ongwen’s confirmation charges to be held in Uganda is in line with Article 3(3) of the Rome Statute, which allows the ICC to sit anywhere it considers desirable to hear a case or cases before it. Ongwen’s trial in the region might be the only opportunity for the victims to see justice being done at first hand. I am not sure whether Kony, who is still at large, will ever be captured. He may already be dead. Of the three other indicted LRA commanders, the ICC has already confirmed Lukwiya’s death, while Otti and Odhiambo are believed to have been executed or killed in combat in the DRC and Central African Republic respectively. The hearing of Ongwen, who is both a victim and a perpetrator, in the capital Kampala or even better in Gulu, would enable the victims to follow the trial closely, understand the importance of justice and promote accountability and psycho-social healing. If the proceedings are held in Gulu, the affected communities and people in Acholi, Lango, Teso and West Nile sub regions – where the fighters of the notorious rebel outfit wreaked havoc for nearly two decades – would be able to come face to face with one of their tormentors. The victims and survivors, especially those of the infamous Lukodi massacre, would be able to move on foot, ride bicycles or jump into a taxi in order to physically attend the trial and proceedings against the accused instead of following it on TV. Most of the people in the region can’t afford a television because of high poverty levels. Besides, the region often experiences power outages. Lawyers and Transitional Justice (TJ) experts in Uganda and abroad have indicated that a local trial would bring justice closer to the victims and enable their participation. It could possibly catalyse local interest and help build local capacity to try similar crimes domestically at the country’s International Crimes Division (ICD) of the High Court. If Ongwen is flown in, it will make history. Who will not want to see one of the leaders who commanded one of Africa’s most brutal wars? The LRA rebellion led to the death of an estimated 100,000 people, the abductions of more than 20,000 others and the displacement of over 1.5 million people in the region. Surely, Ongwen’s case will enable the ICC judges to appreciate the local context and demonstrate the capacity of the court to deliver justice in context. Given the complexity of Ongwen’s case and the high expectations, in situ proceedings would help manage expectations. We cannot predict how the victims will react. But I believe that for some, seeing justice being administered will relieve their pain, while for others, it will be bring back the bad and sad memories of the atrocities they underwent, which I think is good for healing purposes. What I am certain is that the trial of Ogwen in the vicinity where he committed the atrocities will most likely help the war victims to make informed decisions regarding their justice options for perpetrators of war crimes. Should it be accountability, forgiveness, pardon or amnesty? Samuel Egadu Okiror is a Ugandan journalist based in the capital, Kampala. He covered the LRA rebellion, peace process and continues to report on international justice. This is personal opinion and reaction.